LIAJA – Library and Information Association of Jamaica: The initiative to establish a library association was led by Mr. A. S. Bryant, the first Director of the Jamaica Library Service, as such a body was regarded as an ‘essential part of library organisation in the island.’ Accordingly in 1949, a year after the Jamaica Library Service was established, the Provisional Library Board approved the convening of a meeting of all persons working in libraries or having an interest in library development. The meeting was a success as 94 persons met at the St. Catherine Parish Library on July 14, 1949 and passed a resolution that the Jamaica Library Association be formed. 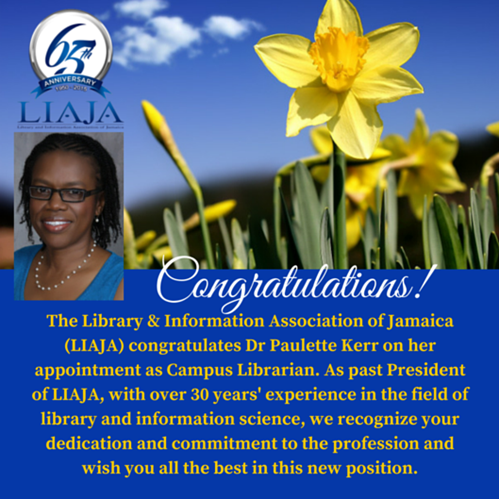 ALJAS – The Association of Librarians in the Jamaica Library Service (ALJAS) was formed in 1975 by a group of “forward thinking” Librarians who sought to provide an avenue through which matters relating to the particular concerns of the group could be most suitably addressed. CIIP – The Cayman Islands Information Professionals (CIIP) is the first professional library and information science association in the Cayman Islands. It was founded in 2013 by information specialists, living and working in the Cayman Islands. ACURIL– The Association of Caribbean University, Research and Institutional Libraries (ACURIL) originated as part of a movement for Caribbean cooperation at the university level, initiated in the late l960’s by the Association of Caribbean Universities (UNICA). At that moment Sir Philip Sherlock, of the University of the West Indies, at Mona, Kingston, Jamaica, was its Secretary General. COMLA – Commonwealth Library Association: COMLA supports library associations in the Commonwealth by promoting the interests of libraries and librarians and facilitating networks for information delivery and exchange. Its membership comprises national library associations and major library institutions in countries that do not yet have an association. From 2002 librarians have been eligible to become individual members. LATT – The Library Association of Trinidad and Tobago (LATT) was incorporated by Act No. 11 of 1985, which was assented to on 21st March, 1985. CARALL – Caribbean Association of Law Libraries: Established in 1984, the Caribbean Association of Law Libraries [CARALL] continues to be the only forum that focuses solely on the Caribbean law libraries and law librarians. The Association is committed to regional co-operation and networking among the libraries. It gives the Law Libraries of the Caribbean an opportunity to forge links, discuss common problems and the information needs of their clientele and create ways in which greater regional Law Library co-operation could be achieved. LAB – Library Association of Bermuda: an active organization of enthusiastic professional librarians and paraprofessionals from all types of libraries in Bermuda. Whether it’s a small or large library, school media centre, college library, law or medical library, the goals of the members are the same. The librarians in Bermuda strive to enhance learning and to ensure access to information for every person on the rock. As librarians, we strive to build a balanced collection that circulates, from a good mix of different genres to coverage of the big topics. This may lead to problems, though, if you are not paying a close enough attention to diversity. The Cooperative Children’s Book Center just published results to their survey about diversity in the publishing world. The results are eye opening. We here at the 5 Minute Librarian try to write for every type of librarian, from children’s services through academia, and everything in between. We know that the world of librarianship is vast and varied, and we are but three people. As such, we have decided to speak to some librarians in other areas, and learn more about their particular specialties. This week, we reached out to the phenomenal Tina McEvoy, who works as the Assistant Director and Reference Librarian at the Lawrence Library in Pepperell, MA, to talk to us about her job, and what you might need to know if you aspire to be as awesome as she is. Recently, a commenter, Oryx, mentioned that she used to work as a prison librarian, and I wanted to learn more. She graciously agreed to do an interview for us, and here’s the Q&A. How did you end up in the job? And how long were you there? I answered an ad I found through Indeed.com, but which was originally posted on my state’s job board (even though I worked for a for-profit prison that was not managed by the state). To be honest, when I first applied, I didn’t realize it was a prison because neither the name nor the ad made it sound super obvious, and when I got called for an interview I almost didn’t go. But I had just finished grad school, and it was right when the economy was sinking and the librarianship field was in dire straits, so if nothing else I figured I’d get good interviewing experience. But they ended up hiring me and I was there for 21 months. It was all-male, minimum security. We had a strong substance abuse program, so the majority of inmates were sent there if they were on drug crimes or DUI. Tell us a bit about what a typical day was like. The prison library was open six days a week, two shifts per day: either the morning and afternoon or afternoon and evening. I’d get to work about 30 minutes before the library opened. If it was the morning, there would already be inmates waiting outside the door. If it was the afternoon, I’d get there right at the count time before lunch so the yard would be empty as they were all in their bunks. Each shift was open for about 3 or 4 hours. Then we’d close for an hour or two for count and the meal, then reopen. During that half hour, I’d make copies or print documents that had been left from the day before. Inmates paid for copies and print-outs but only legal documents could be copied or printed so I had to check everything first (on the computers they only had access to Lexis-Nexis and an open office word processing program). After that, I set everything up for the day, including turning on lights, setting out sign-in/out sheets, making sure tables and chairs were in order. Most of my day was spent in more of a manager position, as I had inmate works at the circulation desk who did all the checking in and out of books (we stilled used the old-fashioned card pockets in the back of the book) or handling newspapers and magazines. There was also a law library where the computers and typewriters were, which was also staffed by a handful of inmates. I became a notary as part of the position so I would spend a lot of the time notarizing documents, helping with book recommendations (although my workers got good at this, too), cataloging donated books, keeping circulation stats updated for my monthly report and, of course, I was there to maintain control. (I also spent a ridiculous amount of time maintaining the rules: telling inmates to make sure they sign in and out, make sure their shirts were tucked in, make sure they take their hats off, no food and drink. It’s the prison, we had a lot of policies so that was a big part of my job). The afternoon shift was by far the busiest, because the newspapers and magazines came in during lunch. There was always a delay so the papers were a couple days behind, but the inmates didn’t seem to care. We carried USA Today and most of the major papers from around the state. Magazines were pretty broad interests like Sports Illustrated, Entertainment Weekly, Car and Driver, things like that. Because we were minimum security, the inmates were free to come and go when the yard was open. The only exception to this was when Daylight Saving Time ended each year, and during the evening shift, it would be dark in the evening. Once the lights out in the yard turned on, the inmates were not allowed to leave the library until it closed and only after I took a count and called control up front and let them know how many inmates were leaving. I’d do a “last call” type of situation before sunset and after that they were stuck in the library until we closed. The inmates hated that and would try to leave early, but there wasn’t anything I could do (and even if they did leave early, there were always correctional officers out patrolling the grounds, so even if they stepped outside they’d usually get told to get back inside from both the COs and me). On Fridays, I would go down to the segregation unit where inmates who have been temporarily removed from the general population stayed. I’d go around cell to cell and ask if there were any books they wanted to read then I’d bring them those books on Saturdays. There was a small bookshelf of titles that I changed out once a month or so. The right of access to information is an important human right, necessary for the enjoyment of other human rights. It is also essential for transparent and accountable a country’s government and the operation of their Ministries/Departments and sub-agencies. International Right to Know Day began on September 28, 2002, when freedom of information organizations from around the world came together in Sofia, Bulgaria and created the FOI Advocates Network, a global coalition working together to promote the right of access to information for all people and the benefits of open, transparent, and accountable governments. In the aftermath of a mass shooting at Mother Emmanuel AME Church in Charleston, South Carolina, The American Library Association (ALA) is saddened to learn that public librarian Cynthia Hurd was among the fatally injured. Hurd’s commitment to librarianship was apparent during her more than three decades with the Charleston (S.C.) County Public Library. Hurd served as branch manager of the John L. Dart Branch from 1990-2011 before becoming manager of the St. Andrews Regional Library. American Library Association President Courtney Young released the following statement. “Cynthia Hurd was beloved by her community,” said Young “Her dedication to librarianship was apparent as she worked to transform lives through education and lifelong learning. The thousands of lives she touched over the years will serve as a lasting living legacy. “The American Library Association would like to expresses its deepest condolences to Cynthia’s family, as well as the many families impacted by this very senseless and tragic act of violence. “As our nation begins to try to make sense of this tragedy, various ALA divisions will reach out to our colleagues in Charleston, South Carolina, to express concern and to lend support. 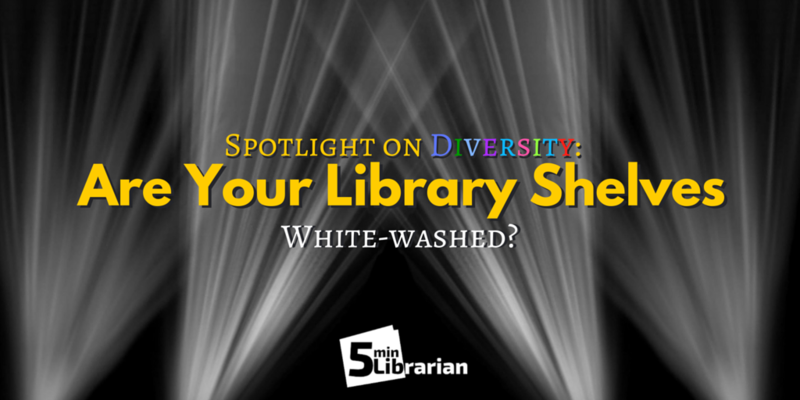 So You Want to be a Catalog Librarian? It may or may not be true that catalogers are born, and not made, but most catalogers I know naturally drifted toward it. For some it was through pre-professional work experience, for others it was in library school, where they were one of a handful of students who actually liked their introduction to cataloging class. However we got there, changes in technology, standards, and funding have all led to a radical evolution in what we professional catalogers actually do. This means there’s been a change in what skills are needed and desirable. Caveat: My comments are from the perspective of a cataloging manager in a larger academic library, although a lot of what I have to say may also apply in other types of libraries. If you have a romantic notion in your head of spending your day with a stack of books, carefully crafting MARC records, think again. Although monographic cataloging tends to be the default in introductory cataloging classes and training sessions, in many libraries a large portion of books are received shelf-ready, and the batchloaded vendor records receive at most a cursory glance by a copy cataloger or acquisitions staff member. Also, larger and larger proportions of acquisitions budgets are going toward ebooks and electronic journals. Professional catalogers are much more likely to be managing copy cataloging staff, editing and loading records in batches, ensuring access to online resources, or providing cataloging expertise in a specialized format, language, or subject area. 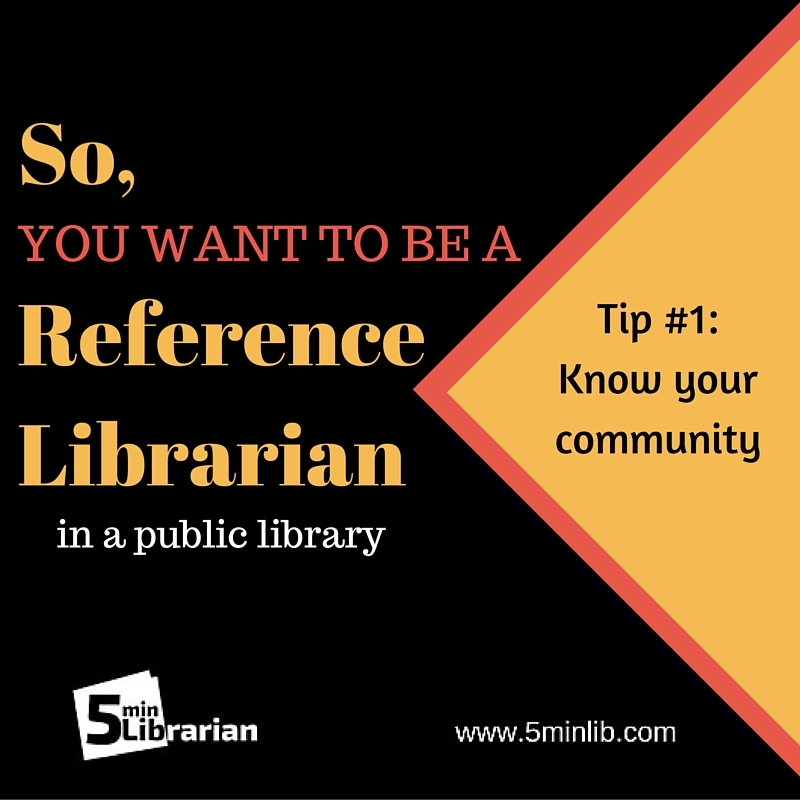 If you are an academic librarian, you will also be expected to serve on library and campus committees, be active in professional associations, and do research and publication. While many of us find cataloging relaxing and meditative (as well as intellectually stimulating), you’ll be focusing on item-level original cataloging far less often than you might expect. Job postings for Metadata Librarians sound an awful lot like cataloging positions. Many libraries (including my own) use Metadata as an umbrella term to encompass traditional cataloging and metadata creation in other schema, such as MODS, METS, EAD, andDublin Core. The most common model for a Metadata Librarian is to provide consultation regarding metadata standards for digital collections or other units or departments creating metadata, though some metadata postings seem to be traditional cataloging positions with a little bit of metadata thrown into the mix. The current library job market being what it is means there are a lot of aspiring catalogers out there looking for work. When hiring, there are particular job skills I’m looking for (and rarely find) that would help an applicant rise to the top of the pile. Programming skills. Linked data is getting more and more important. Add to that the development of BIBFRAME, and you can see why catalogers who know how to code and can speak the language of IT staff will have a leg up in helping us use and transform cataloging data in multiple platforms. Batch editing skills. Know how to use MarcEdit or OpenRefine? If you haven’t had the opportunity to use these tools, I recommend you start playing around with them. The ability to analyze data sets, and to see the big picture, rather than thinking record by record, is what’s needed. Foreign language proficiency. If there are monographs sitting around my department waiting to be cataloged, chances are they are in a language that no one on staff can read. The tricky part is that the default languages taught by most colleges and universities are Western European languages such as French, Spanish, or German. We have numerous staff who can deal with those. I’d love to find someone who can handle Russian, or Arabic, or Hebrew, or South Asian languages like Bengali and Gujarati. The good news is that there are fairly inexpensive ways to acquire most of these value-added skills. MOOCs, online tutorials, and open source software abound. Although cataloging has never deserved its reputation of being rote and rule-bound, the life of a cataloger today is dynamic, challenging, and at the center of cutting-edge technology. In fact, I’d say there’s no better time to be a cataloger than today. Christine DeZelar-Tiedman is Manager of the Archives and Special Collections Metadata Unit at the University of Minnesota Libraries, and has worked as a cataloger in academic libraries since 1995. She received her MLIS from the University of Iowa, and is active in the Rare Books and Manuscripts Section of ACRL. You can follow Christine’s musings on books and reading on Twitter @Place4Readers and on her blog The Reader’s Place. Kentucky Politician, Arrested … For An Overdue Library Book? A candidate in the race to be Kentucky’s next lieutenant governor was arrested Wednesday on charges apparently connected to an overdue library book. Johnathan Masters, 33, a Democratic challenger for the office, was driving to Bowling Green for a TV interview when a Kentucky State Trooper pulled him over. “He said my tags were expired,” Masters told The Huffington Post. “I thought he was going to let me go because he was real friendly, but then he went back to his patrol car and was gone for about 15 minutes. “When he came back, he asked me, ‘Did you take out a library book 11 years ago? '” Masters said. It seems Masters had a warrant out for his arrest on of the charge of “theft by failure to make required disposition of property,” a misdemeanor when the property is under $500. “I started to laugh, but he said, ‘This is serious!’ and he took me to jail for three hours,” Masters said. Masters was booked on the outstanding warrant and paid $100 bond to get out. 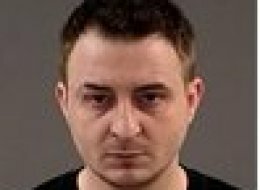 He is scheduled to be arraigned March 30. Masters was born Kevin Deaton, but said he legally changed his name in 2004. “I didn’t “want to carry the legacy of my violent oppressive father,” he said. He suspects the name change is the reason for why the warrant wasn’t issued for 11 years. Masters is getting sympathy from an unlikely source: Drew Curtis, who is running to be Kentucky governor as an independent candidate. He suspects Masters could have been set up by a competitor, but admits he has no proof. “I’ve seen no evidence of political dirty tricks, but it seems strange that police would drive around looking for missing library books,” Curtis told HuffPost. A Kentucky State Police spokeswoman could not find information about Masters being arrested for a missing library book. The only information in her files only said Masters was arrested on an outstanding warrant. Masters told Fox News that he recalls visiting Kenton County library, but does not recall taking out a book. Masters said his struggles point to why he feels the legal system in Kentucky needs to be changed. Masters could be spending much of the election season defending himself in court. In February, he was accused of screaming at and threatening to harm a school principal. He also allegedly harassed a dean at Spalding University, where he was a student, according to Courier-Journal.com. “He has a problem with school administrators,” Assistant Jefferson County Attorney Tim McCauley told a judge during a pretrial hearing last month. Masters admits challenging the dean to a boxing match, “which I’m not proud of,” he said, but the truth will come out in court.